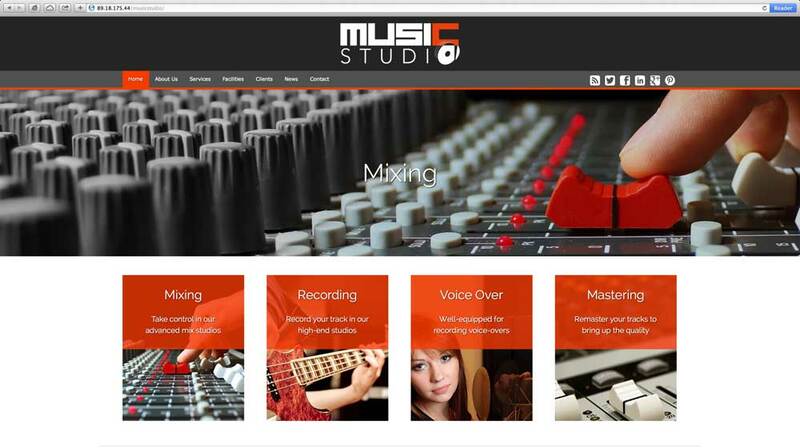 Everything you need to build a great website for your audio production studio is included with the Music Studio WordPress theme, so you can start bringing in new clients without spending a lot of time or money on complicated coding. 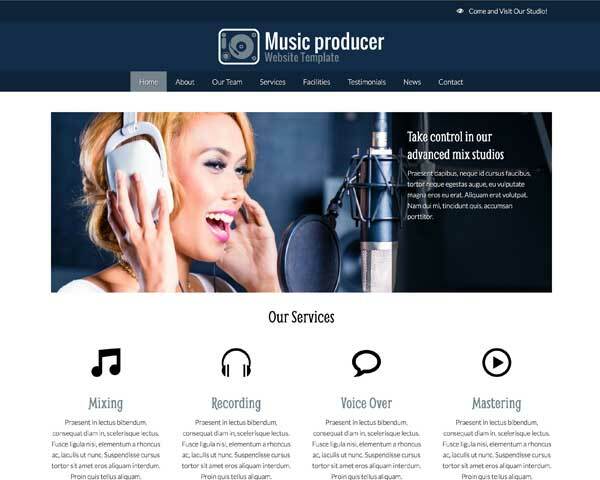 Whether you want your online presence as a music production business to be cutting edge or corporate, start with the Music Studio WordPress theme and your recording studio website will be halfway finished within minutes of installation. We've built this premium template for audio production studios with pages already set up to present your services and facilities. All that's left to do is upload your own photos, replace the demo text with and if you like, customize the colors and styles — no coding skills are required! 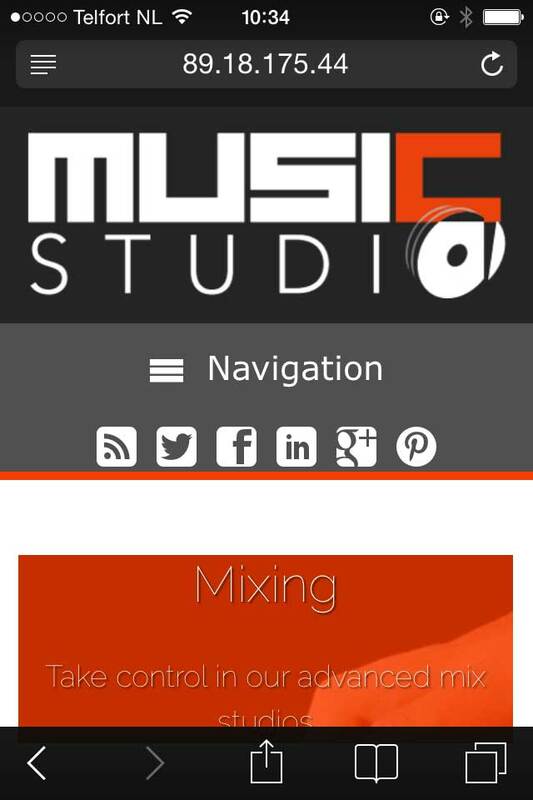 Right out of the box, your new music studio website will be fully-responsive and packed with built-in state-of-the-art features that would normally require plug-ins or complicated coding, such as beautiful lightbox galleries, social media integration and a contact form. 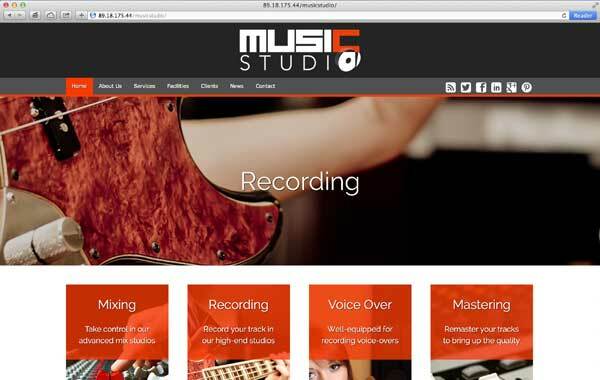 The Music Studio WordPress theme delivers great value and time-saving benefits to help you bring in new business and show prospective clients what your studio can do for them. 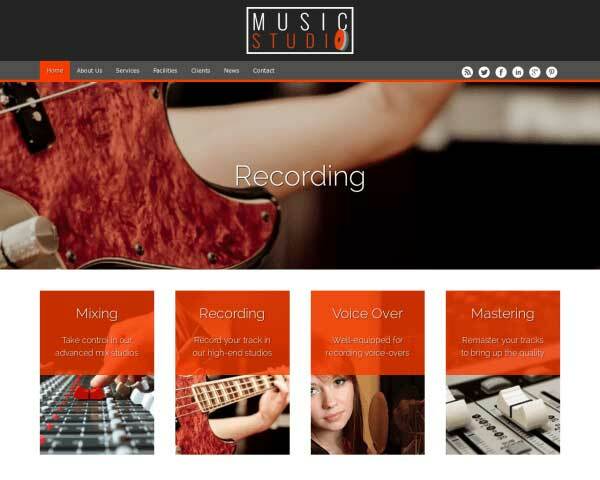 Unlike the average WordPress theme on the market, the Music Studio WordPress Theme was designed specifically to create a professional online presence for studio owners. 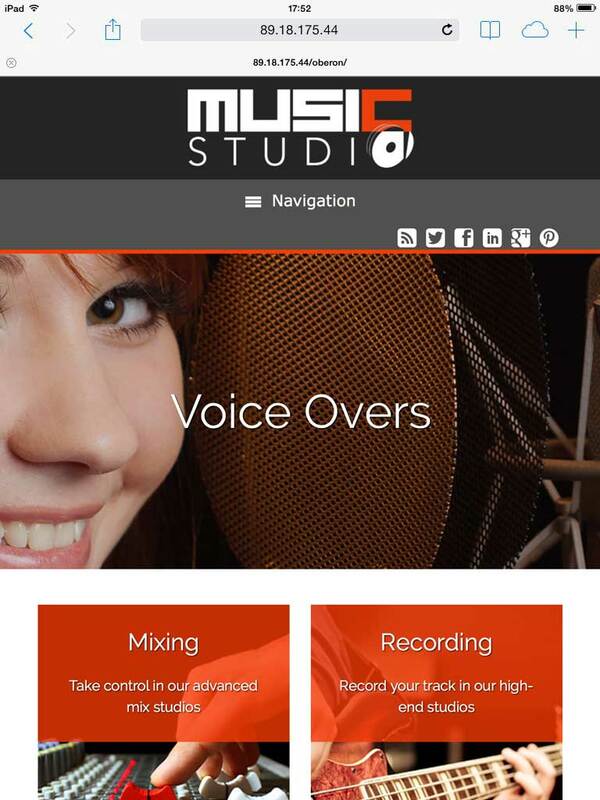 Visitors won't have to search for a way to get in touch thanks to calls to action prominently displayed on every page of the Music Studio WordPress Theme. No website can do without a contact form. 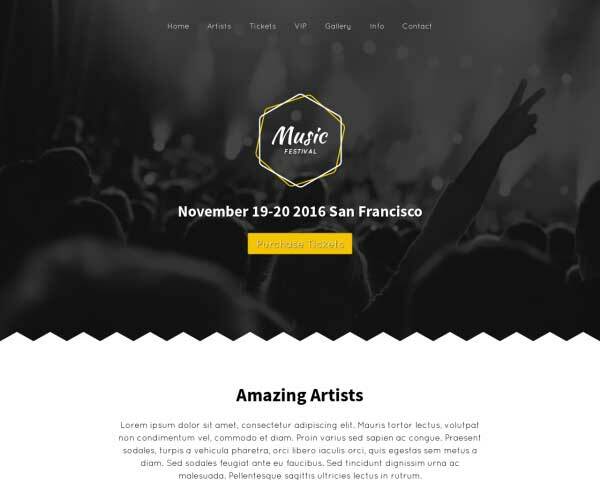 The Music Studio WordPress Theme is no exception to this rule, hence we've included the necessary elements to make a quality contact section. Indulge in a little name dropping and include a list of the companies you've worked with. Simply replace the icons to display logos from your top clients. Share your unique and appealing offerings on the service detail pages of the Music Studio WordPress Theme. Simply replace the text and images with your own. 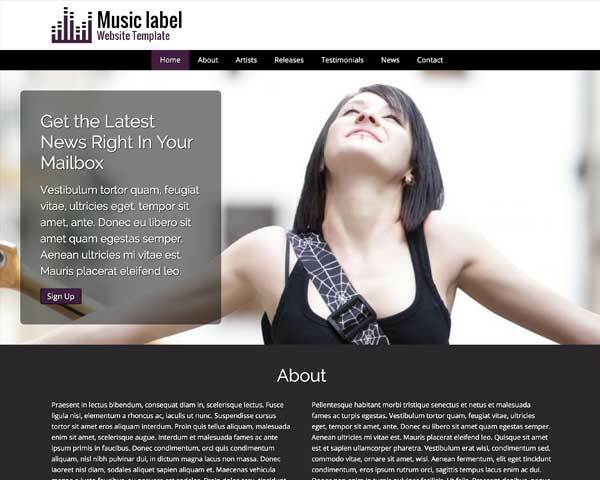 The Music Studio WordPress Theme is designed with an effective, simple layout that allows your main proposition to steal the show. Use as is or personalize the color scheme to suit your style. 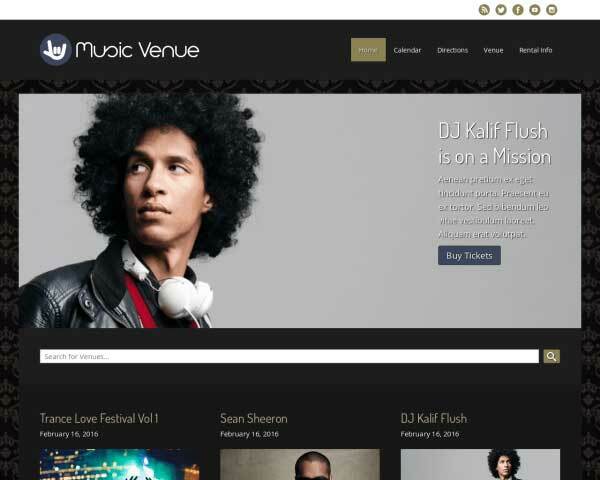 The Music Studio WordPress Theme theme provides a facility detail page of each of your facilities. Decorate the detail pages with a rich set of widgets such as texts, images and galleries. The WordPress template has got a beautiful gallery feature integrated into it. Point, click and upload your own images and the theme will do the rest. 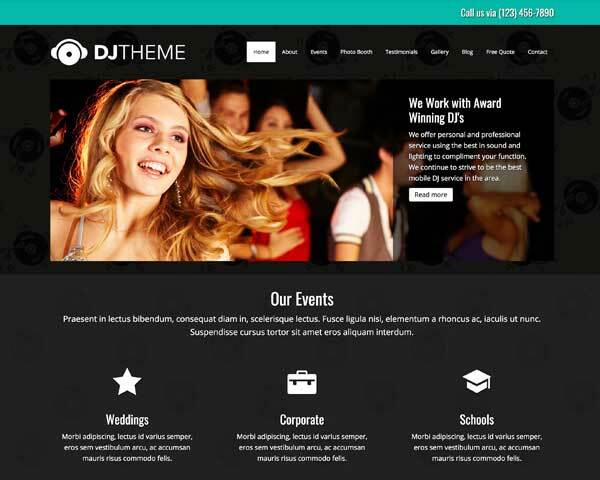 Included with the Music Studio WordPress Theme are icons for the most popular social media platforms, allowing visitors to simply click to follow you online or share your content on their pages. 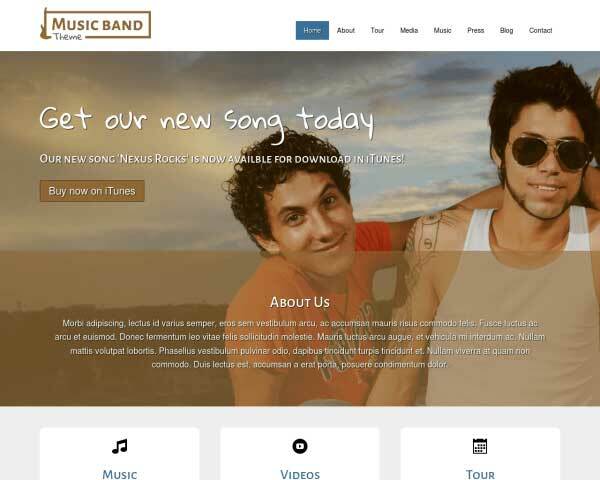 The Music Studio WordPress Theme includes an About page with room for your photo and biography. Add rows and use widgets to add more photos, blocks of text or videos. 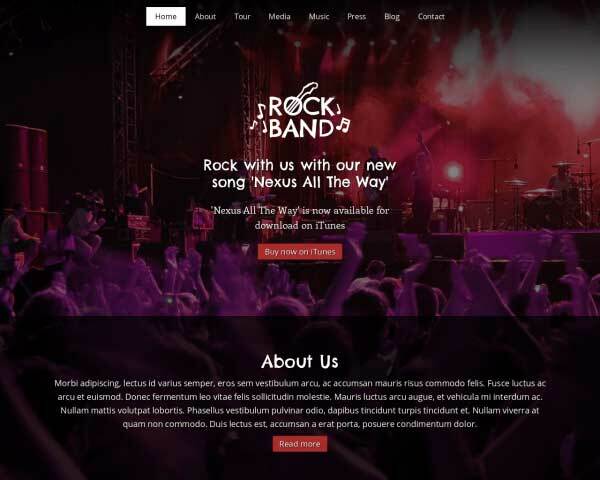 You'll never have to worry about your website looking like an embarrassing mess on handheld devices when you build your site with the responsive Music Studio WordPress theme. It's mobile-optimized design will automatically adjust the layout of your content to display beautifully on any screen size, offering visitors with the same professional look and functionality of the desktop version. Mobile visitors will enjoy a neat, appealing layout, convenient navigation and the ability to tap your phone number to dial or tap your email to open a new draft and get in touch on the go.